Even in Japan or Asia - June is a rainy/humidity season - but June in England is less rainy and sunny days continue - which is a good month for weddings. Antique Markets are held at a variety of places - like Hotels, Castles, Parks or roadside. Portbello Market which is held by the west of Hyde Park is very poplular for tourists. Every Saturday I woke up at 5AM and drove to the market. I have many memories of buying antique clothes, brooches, and laces for bisquedolls. 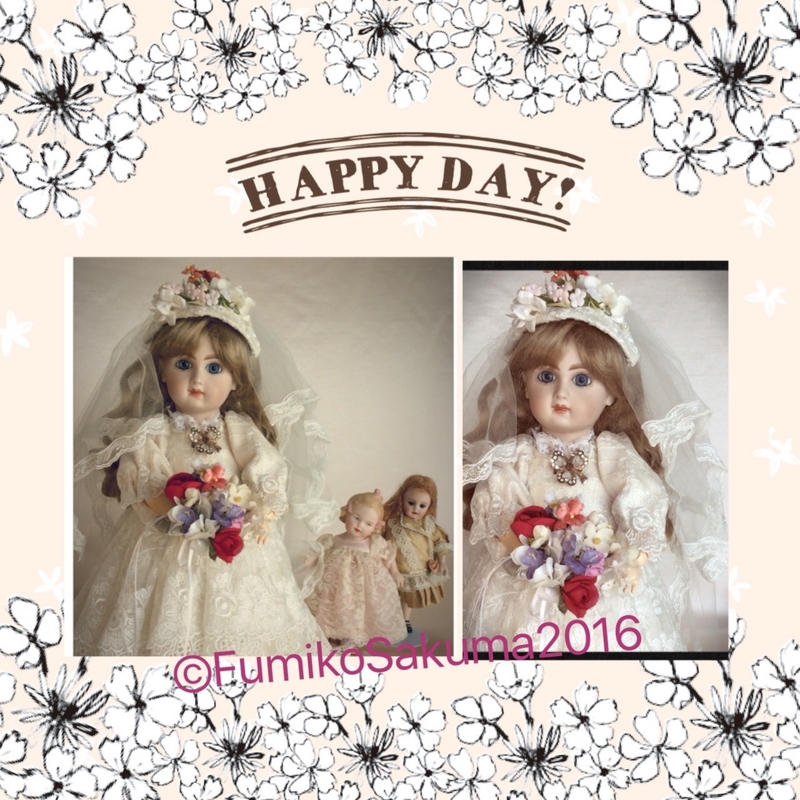 The wedding doll of the picture is Jumeau of 37cm. I have also attached a previous picture which shows a wedding ceremony.